Gamers or aspiring game developers can now create their own video games without the need for a technical background. The tool to use? Pixel Press. 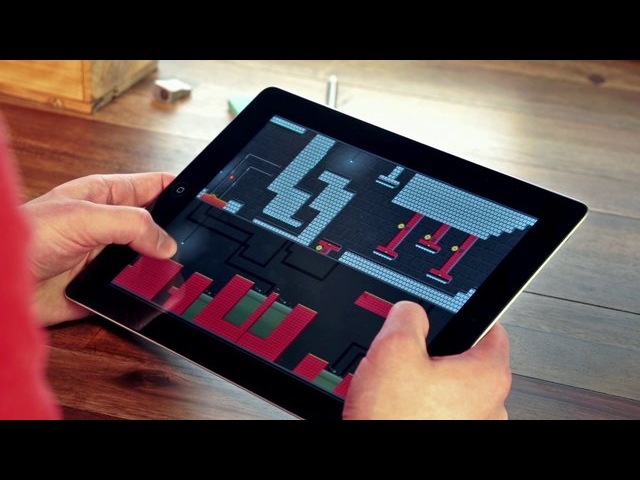 This new Pixel Press tool lets anybody, young and old, to make their own video game levels. The only materials you will need are a pencil, graph paper and your iPad or iPhone. Creator Robin Rath explained players can design their levels by hand and they can create any kind of traps for their avatar to hurdle. Avatars can climb five stories to reach their goal. 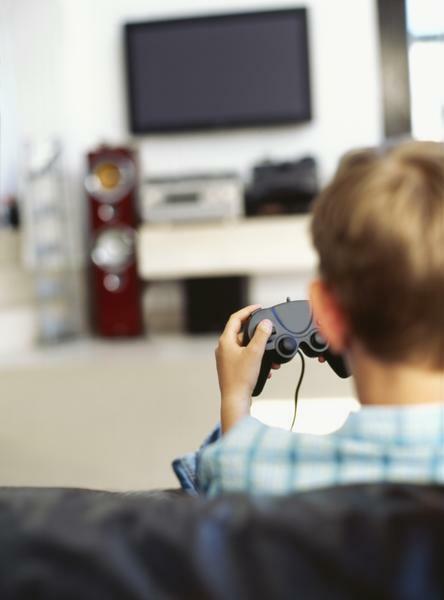 Several studies have shown that playing video games has its benefits. One study has found that it helps relieve the pain suffered by children as it diverts their attention. Another study has revealed that playing block-building games such as Tetris can help fix the lazy eye problem. Known as amblyopia, laze eye is a condition in which a person’s vision in one eye does not develop correctly. If not treated immediately, this can lead to sight problems as the brain will no longer correct the blurry images being experienced by that particular eye. One type of acting that has become increasingly popular in recent years is voice acting for video games. As video game technology advances, more and more game characters are being voiced by big name actors. Fifteen years ago it would have seemed impossible to get someone of the caliber of Gary Oldman to lend his voice to an action game. Cut to today, when Oldman has lent his voice to no less than two games in the ever-popular Call of Duty series. 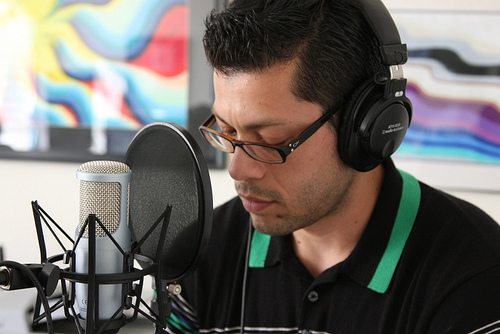 Video game voice acting isn’t just for big names, either. It has become an increasingly popular way for actors to break into the industry, so long as they have the right mentality and go about it the right way…. Thanks to recent advances in technology, the visuals involved in today’s video games are better than ever before. Crisp, clear images allow gamers to feel like they have actually stepped into another world. However, when a video game ups its standards for its visuals, it must follow suit with other aspects of gaming; otherwise, the result is a disjointed, awkward experience for the player. 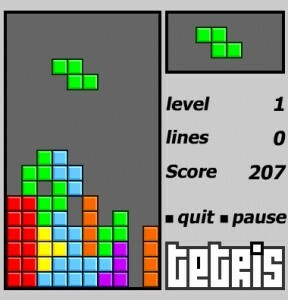 Although many games have done an excellent job improving visual formatting, some focused solely on this aspect of gaming to the detriment of areas such as the soundtrack and voice over acting. Sound constitutes an important part of any gaming experience, setting the mood for the player and determining if the game has a playful, sinister or dramatic feel. Even a game with the very best visuals would be very boring indeed if it lacked a quality voice over. Whether they prefer strategy-based P.C. games or first-person shooters on a console, serious gamers are always looking for new ways to enhance their overall experience. To create the best possible environment for their hobby, gaming enthusiasts may purchase updated equipment, continuously tweak their sound and visual settings or even make manual upgrades to the equipment they already own. Below are some of the most common strategies these gamers use to get the most out of their gaming experiences. Is your child gaining too much weight? Then buy him video games! But hold your horses, we have to qualify what kind of video games you have to buy. According to a team of researchers from Hong Kong, obese children can benefit from video games which urge them to move. “A recent active gaming concept that allows players to experience various activities (e.g., bowling, fishing, tennis, golf) in a virtual world is the XaviX gaming system (SSD Company Ltd., Shiga, Japan),” the authors said. “In addition to the exercise gaming modalities, the XaviX system includes a gaming mat (XaviX J-Mat) that allows participants to travel the streets of Hong Kong at a walk or a run, avoiding obstacles and stamping out ninjas,” they added. Robin R. Mellecker, B.Sc., and Alison M. McManus, Ph.D., of the Institute of Human Performance, University of Hong Kong, Pokfulam, measured heart rate and energy (calorie) expenditure in 18 children age 6 to 12 (average age 9.6) during a 25 minute gaming protocol. “Our data demonstrate that the two active gaming formats result in meaningful increases in energy expenditure compared with the seated screen environment. The next step is to test whether active gaming interventions can provide sustainable increases in childhood physical activity,” the authors said. The study is published in the September issue of Archives of Paediatrics & Adolescent Medicine, one of the JAMA/Archives journals. Not bad, eh? 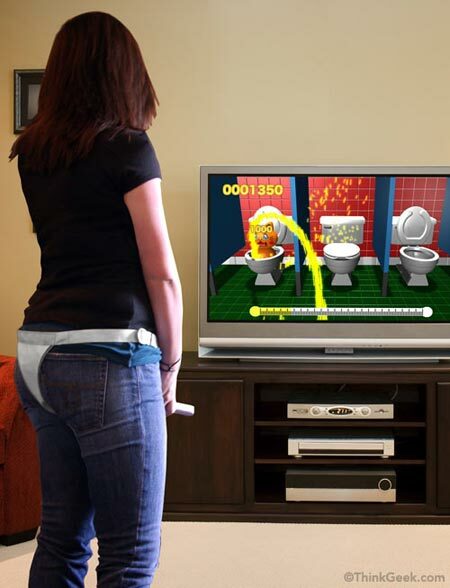 I think the Wii is still the king when it comes to these kinds of things but I am also thinking that more and more in the industry will follow suit. Yes, that is for real. There is such a thing as a peeing game. Ok, the name is not that crude (I apologize if I have offended some with the title) but the idea is basically that. Dubbed the Super Pii Pii Brothers (there isn’t much of a difference, is there? ), the game involves putting on a belt harness and making sure that the neverending stream of urine goes straight where it should be – the toilet. According to the Japanese text on the box “Super Pii Pii Brothers promotes good bathroom skills and allows women to experience for the first time the pleasure of urinating while standing.” What we say is that virtual peeing is damn fun!